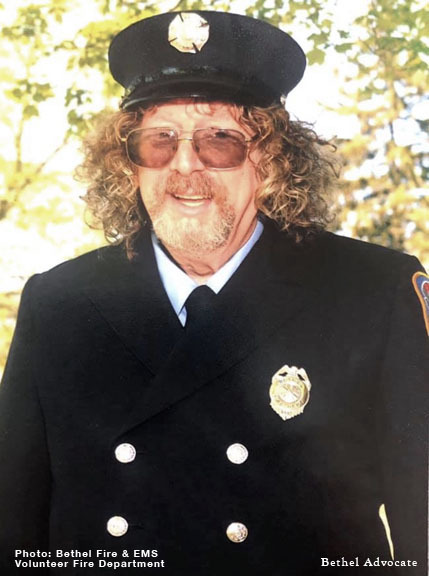 We at Bethel fire would like to invite you to the celebration of life service of our fellow firefighter Ira Pollack which will be held on February 2nd from 1 P.M. till 5 P.M. here at Bethel Fire Headquarters 38 South Street Bethel Connecticut. Due to the many lives Ira touched in the town of Bethel, and the surrounding communities through either being a firefighter with us, the Danbury Railway museum, his many bands the latest of which was “Highway Robbery”, or his tireless work as a member of the town of Bethel’s highway department. We would kindly ask in light of our facilities limited parking area that you park at the many available off-site parking options offered (see note below). There will be a regular shuttle bus from these locations to our Firehouse. This shuttle bus was kindly donated for this celebration of life service by the Hartransit Corporation which will allow for the family and older/less mobile guests to park at the fire department lot. In accordance with the families’ there will be two trucks be left on our apron Tanker 1, which is the truck Ira was an engineer for us on, and his town truck #2. Both of these vehicle will be draped in bunting. If there are any questions that you have please feel to reach out to me at the number provided below or you can certainly call us at the firehouse on our regular business number (203) 778 – 7414. It is our distinct honor to have been called upon to have this service at our location for a man like Ira and that honor could only be made more special by your attendance at this celebration of life service for our Brother and Friend. NOTE: The overflow lots will be at the Bethel CJH Municipal Center and Parloa Parking lots.